Does your little guy love the sea? 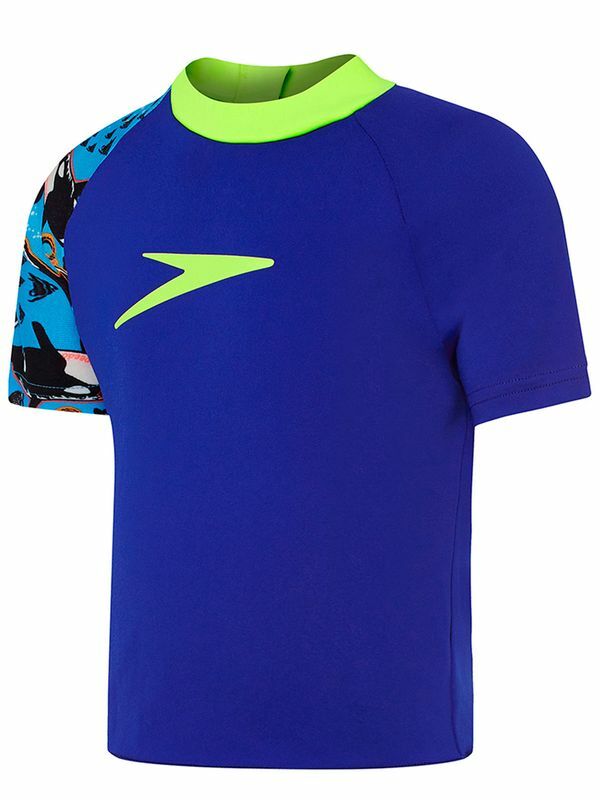 The vibrant ocean blue Speedo Oceania Boys’ Short Sleeve Sun Top features a bright sunshine yellow accent collar and classic Speedo logo at the front and centre. Featuring an arm accent with a vibrant azure ocean print covered in wacky, fun octopus and wales, this sun top was made for fun in the sun! Making sun and swim gear for Olympic stars since 1932, Speedo knows what pro swimmers and little ones alike need to get to the top! Made for swimmers by swimmers, our fave swimwear company makes top notch products for swimmers of every age. Oceania Toddler Boys Short Sleeve Sun Top manufactured by Speedo Swimwear the worlds leading swimwear brand. Speedo is passionate about life in and around the water, creating revolutionary new technologies, designs and innovations.